Sometimes when a scientist makes a discovery, its nature and usefulness are not immediately clear. This is the case with chemist Stephanie Kwolek, who manufactured a bizarre liquid one day while working in a laboratory. Rather than throw it out, she insisted on having it analyzed. The testing revealed that she had found a unique family of ultra-strong fibers that included what is now known as Kevlar. 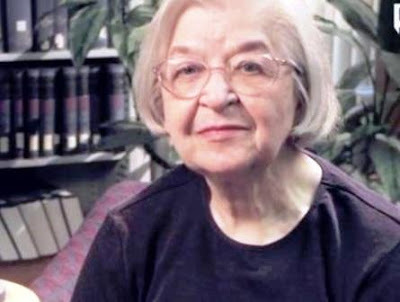 Stephanie Louise Kwolek was born in New Kensington, Pennsylvania, in 1923. As a child, she enjoyed going on nature walks with her father. She also liked to design dresses for her dolls, surreptitiously using a forbidden sewing machine when her mother was out of the house. Her father died when she was 10 years old, leaving her mother to support the family through the Great Depression of the 1930s. A gifted student, especially in science and math, Kwolek attended Margaret Morrison Carnegie College, now Carnegie Mellon University, in Pittsburgh. Kwolek graduated in 1946 with a degree in chemistry and a plan to attend medical school. However, she did not have the money for tuition. Kwolek decided to find employment as a chemist and planned to work only long enough to earn the money she needed to pay for medical school. Kwolek had heard that the research department of E. I. du Pont de Nemours and Co. (usually called DuPont) was excellent. Upon graduation she contacted a representative at her college and was offered an interview at a DuPont facility in Buffalo, New York. There Kwolek was interviewed by Hale Charch, who in 1927 had developed moisture-proof cellophane. Kwolek was offered a job in the textiles research department, which she accepted. At the time, female chemists were relatively rare, although World War II had created a serious labor shortage that had opened many doors for women. Charch was particularly open to hiring women, and Kwolek has said that, in her lab, she worked with many women and never felt isolated because of her gender. However, women were still held back-15 years would pass before DuPont gave Kwolek a promotion. Although Kwolek had taken the job in 1946 expecting it to be temporary, she quickly found it far too interesting to quit. Following the invention of nylon in the late 1930s, textiles research, especially the creation of synthetic fibers, was a burgeoning field. In 1950, the textiles research department was moved to a new facility in Wilmington, Delaware, and Kwolek moved with it. Kwolek contributed to DuPont's creation of a number of synthetic fabrics, including spandex. She became especially interested in fibers made from polymers, which are very long molecules made up of repeating units. When she first joined DuPont, such fibers could be made only at very high temperatures. Kwolek's lab helped to develop new, low-temperature methods for making polymer fibers. Kwolek was also involved in the development of the polymer fiber Nomex, one of DuPont's high-performance fibers. Such fibers are not used for ordinary clothing; rather, their unusual properties make them very useful for specialized situations. Nomex, for example, is extremely resistant to heat and is used in firefighters' gloves. In 1964, DuPont was looking for a new high-performance fiber. At the time, the possibility of an oil shortage was being broadly discussed, so the decision was made to look for a strong, stiff, and heat-resistant fiber that could be used to replace the steel in radial tires. Such a replacement would be considerably lighter than steel and would presumably result in lighter tires and better gas mileage for automobiles. Kwolek was asked to find the fiber. She chose polymers that she knew would be heat-resistant and stiffer than Nomex. In 1965, while working with these polymers, Kwolek made a very strange polymer solution (liquid form of a polymer). Whereas most polymer solutions are thick, this one was thin. It was also cloudy, as though it contained particles, and remained cloudy even after Kwolek put it through a filter. When Kwolek stirred the liquid, it became opalescent, reflecting iridescent light, and when she poured it onto a spatula, it did not drip. She took her solution to be spun into fiber, but the man running the machine refused to spin it because he thought it was contaminated with particles that would clog the spinning mechanism. Kwolek kept asking, however, and eventually he relented. "I think I either wore him down or else he felt sorry for me," she later recalled. The solution did not clog the machine; instead, it spun easily into a fiber. Kwolek took the fiber to be tested for strength and stiffness. The fiber was stronger than usual, but what was especially remarkable was its stiffness: the tests found that it was more rigid than fibers made of glass. Kwolek was sure a mistake had been made, so she sent the fiber back for testing several times. Every time, the result was the same. Finally, she told the lab director about her new fiber. Immediately a group of researchers was assigned to study it. Eventually it was determined that Kwolek had discovered a family of polymers with an unusual property-they could form liquid crystals. When the solution was spun into fiber, the crystals in it lined up in a way that made the fiber very strong and stiff. The researchers were also looking to see if the specific polymer Kwolek had discovered was well-suited to commercialization, or if a similar polymer would work better in the market. They eventually settled on a related polymer, one chosen by Kwolek. DuPont commercially released the polymer fiber in 1971 under the brand name Kevlar. Initially, DuPont tried to sell Kevlar to tire manufacturers, but since switching from steel to Kevlar would require replacing expensive equipment, no one was interested. Kevlar nonetheless appeared in a wide variety of products and remains a key brand for DuPont's $5 billion Safety and Protection division. Kevlar's rigidity makes it ideal for boat hulls, skis, helmets, and tennis rackets. Its heat-resistance makes it useful for brake pads and transmission belts. Its strength makes it ideal for suspension-bridge cables, fiber-optic cables, and cut-proof gloves for surgeons and others who work with blades. Kevlar has even been used for its original purpose, strengthening car tires, although it is more commonly used in bicycle tires. Kevlar's most fatuous use is in bulletproof vests. As Kevlar is both light and strong, it makes an effective body armor that can stop a bullet without hampering the wearer's movement. Thousands of lives have been saved since the introduction of Kevlar vests, according to DuPont and the International Association of Chiefs of Police. Kwolek worked at DuPont until her retirement in 1986; by then, she had 17 patents to her name. She continued to consult for DuPont part-time after retiring and served as a mentor to other female scientists. She has received numerous honors for her discovery, including the National Medal of Technology in 1996 and the Lemelson-MIT Prize in 1999. Kwolek discovered a family of fibers, including Kevlar, that are exceptionally strong, stiff, and light: Kevlar is five times stronger than steel and is about half as dense as fiberglass. A two-and-a-half-pound (1.1 kg) Kevlar vest can stop a bullet or deflect a knife blade. Kevlar is tough because of its unique arrangement of molecules. The Kevlar molecule is a polymer, an extremely long molecule made up of repeating units. Whereas many polymers bend and twist, the Kevlar polymer is straight, like a rod. Under the right conditions, Kevlar and its related polymers will form a liquid crystalline solution, which Kwolek unwittingly produced in 1965. Large numbers of polymers in the liquid will line up with each other, forming bundles (technically, crystals) of rodlike molecules. Once formed, however, the bundles do not line up but rather face in different directions. Forcing the liquid through the tiny holes found in machines designed to spin fiber from liquid polymers compels the bundles to line up with each other. The result is a fiber made up of long, rod-shaped molecules all parallel to each other. This unusual molecular structure is very hard to bend or break, giving the fiber exceptional stiffness and strength.